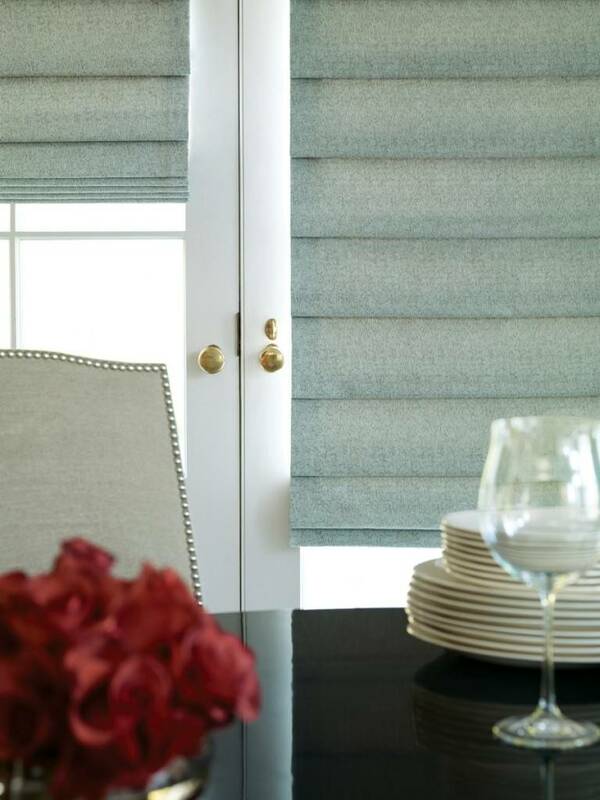 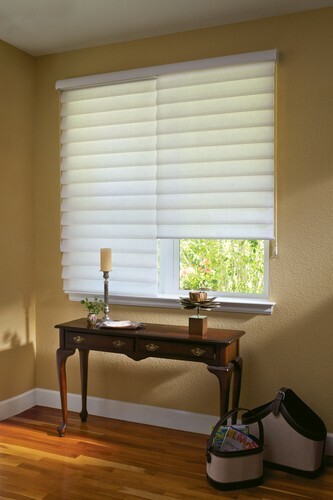 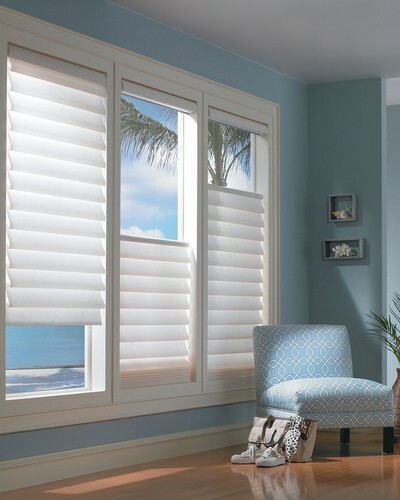 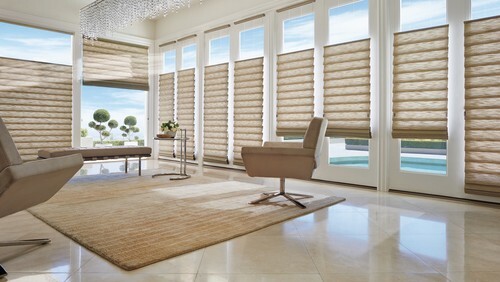 Vignette Modern Roman Shades are an inventive spin on an old world classic. 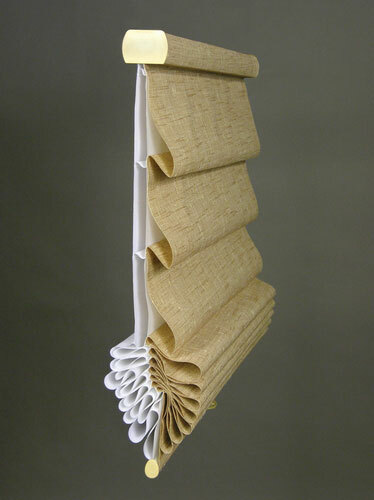 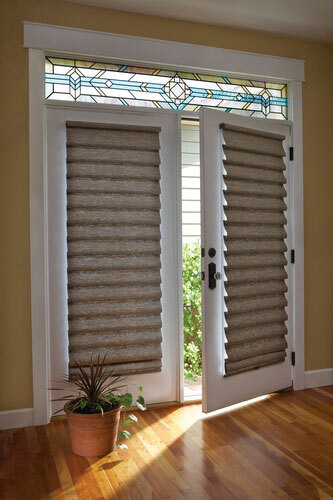 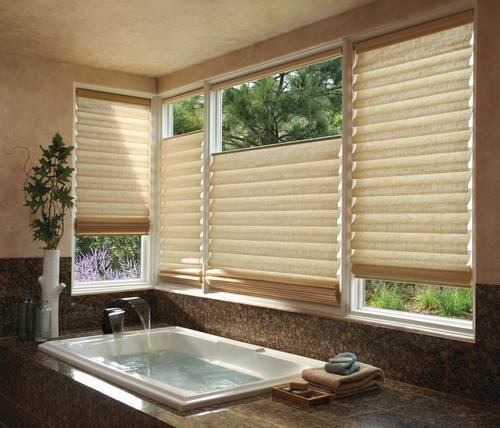 It’s the Modern Roman Shade that rolls, stacks or traverses, with no exposed rear cords. 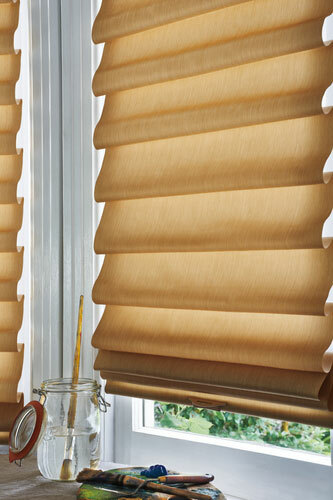 Luxurious fabrics and soft folds give the shades a clean, crsip look. 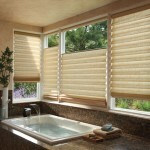 Offered in semi-sheer, translucent and room darkening.